In 2008, Nancy Hinz had recently finished rehab, the last of three attempts at becoming sober after years of alcohol abuse. After not even a year of sobriety, Nancy was suddenly forgetting appointments and losing her way around her hometown. She would pause to call one of her sisters for directions to their houses, which she had visited hundreds of times. 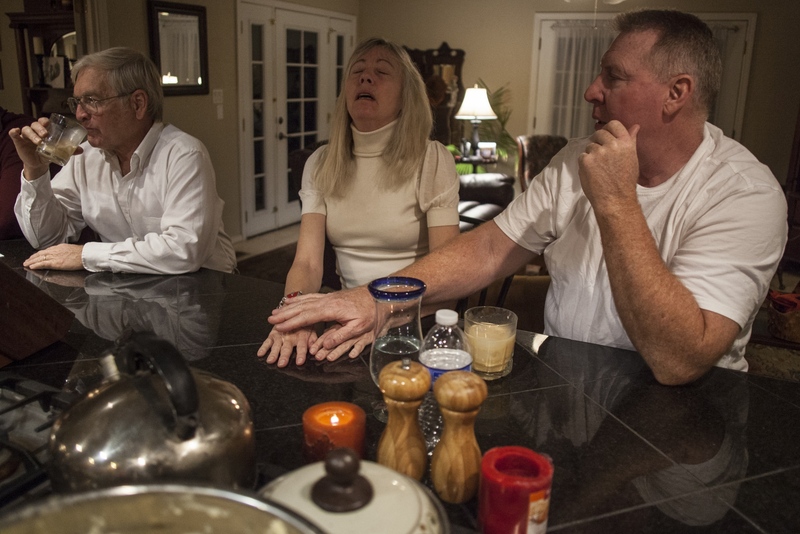 Her obvious discombobulation led her family to assume she had began to drink again. However, the symptoms were not signs of alcohol abuse, but of utter confusion that caused major concern for her family. By 2011, she was completely incapable of making reasoned decisions as doctors tried to determine a diagnosis. 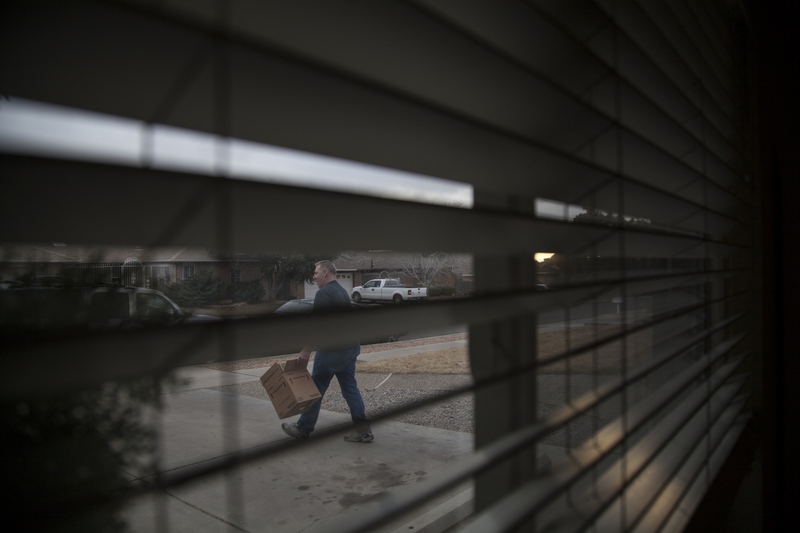 As her husband, Bill, was constantly on the road as a truck driver, she spent her time with a caregiver and sisters that would rotate the days and evenings spent watching her as she couldn't be left alone. 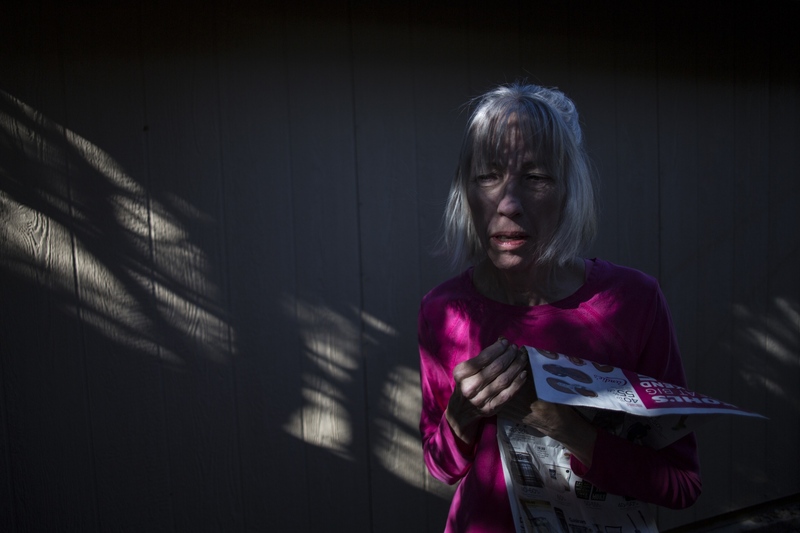 During her time living between homes, her family searched for answers as to what was causing the cognitive impairment. After multiple doctors visits and neuropsychological evaluations, it was determined that Nancy was suffering from younger-onset Alzheimer's disease at the age of 52. 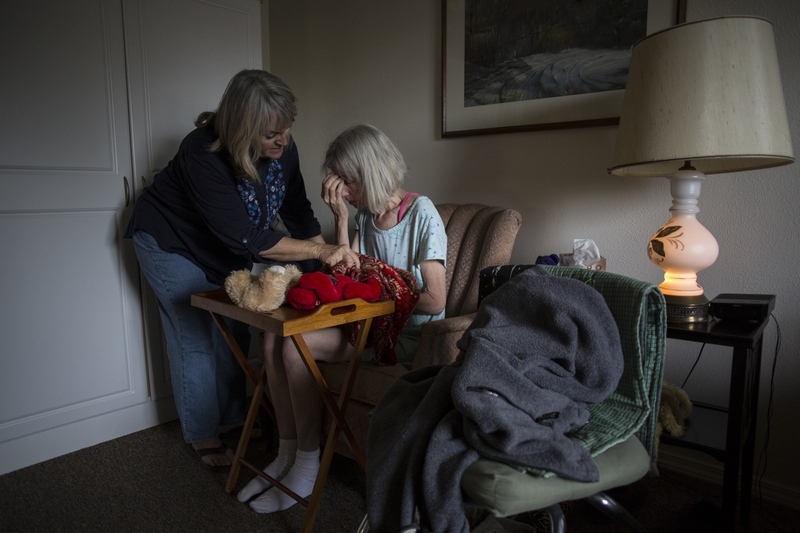 Her incapacity to take care of herself only worsened as the years progressed, and eventually led to her family no longer being able to care for her. 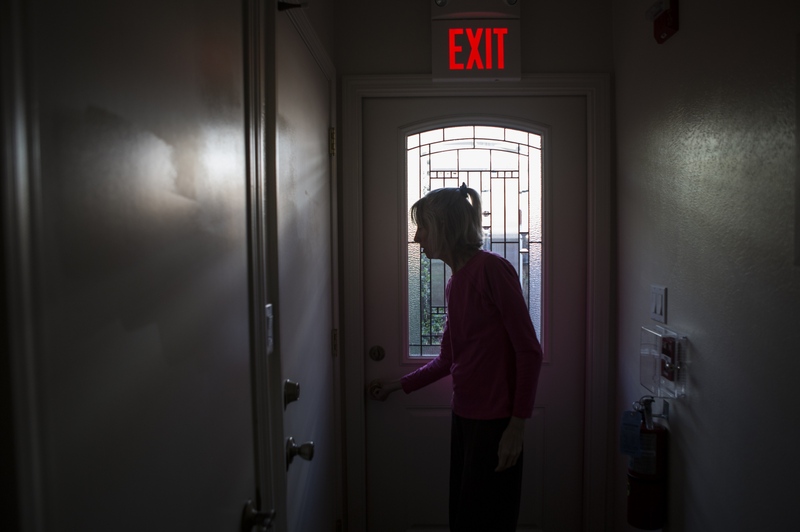 She was moved to a senior living home where she is looked after 24 hours a day. Her sisters are able to visit their "Nanny Goat" as often as they please. Early in 2015, she was put in hospice care. 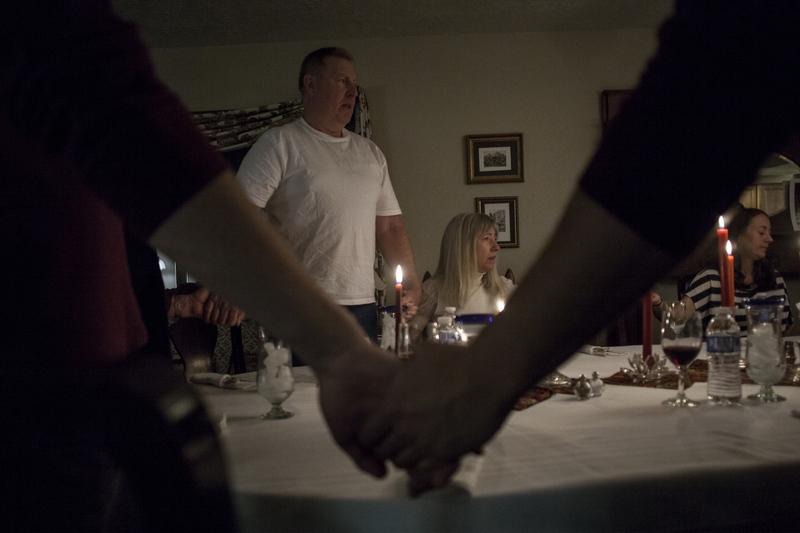 Nancy and her husband, Bill, hold hands in prayer at Thanksgiving dinner in November of 2013. The family still continued to include Nancy in normal family gatherings and routine errands until she became too difficult to take out in public as she would sometimes throw food at the table or inappropriately approach strangers. 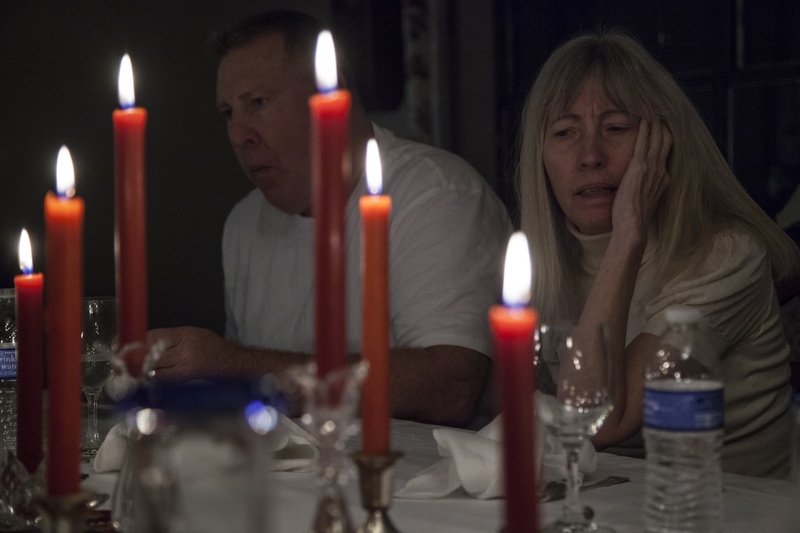 During the Thanksgiving dinner, Nancy would not eat her meal as she grimaced at the unrecognizable people at the table. Often times, Nancy will become suddenly irritated and anxious, but is not able to convey her emotions. Bill would often hold her hands and tell her to calm down and "relax." 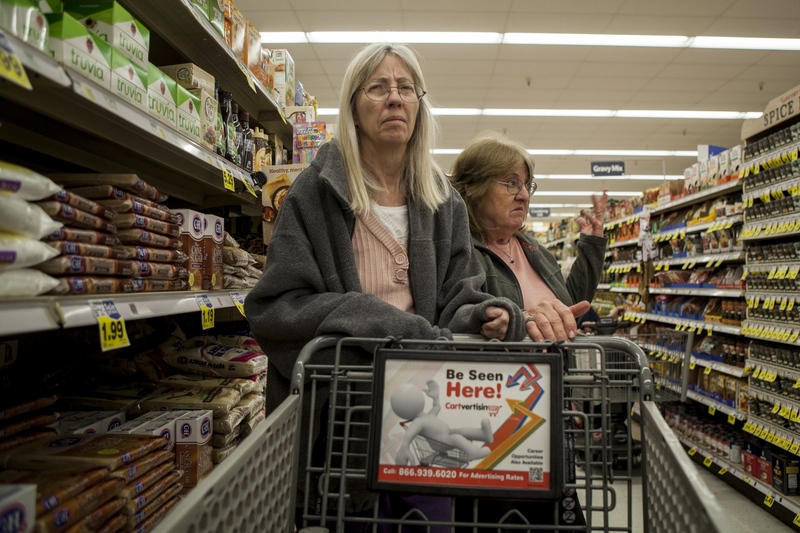 Nancy stares at the other people in the grocery store isle as her sister, Debbie Lundin, shops for food. Outings with Nancy were a regular routine until she became harder to handle in public settings. Often times, she will become very frustrated or wander off talking to strangers angrily. 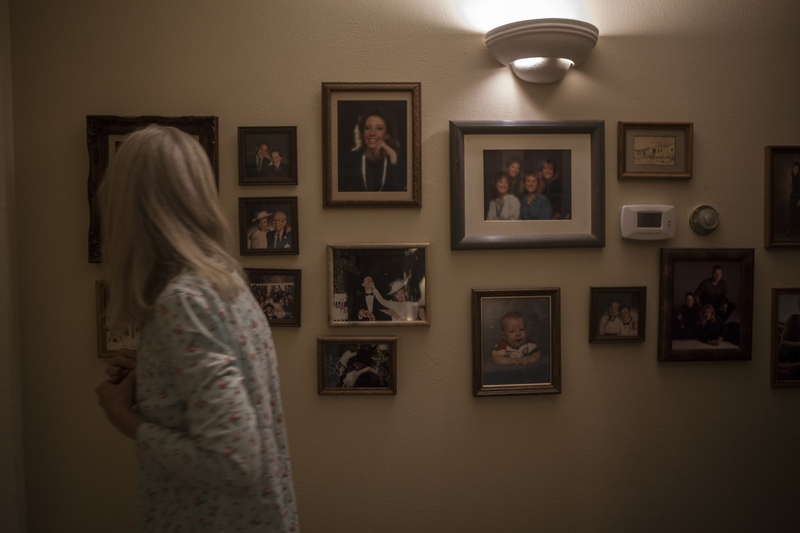 Nancy glances at photos of her and her family as she passes through the hallway of her and her husband's home. 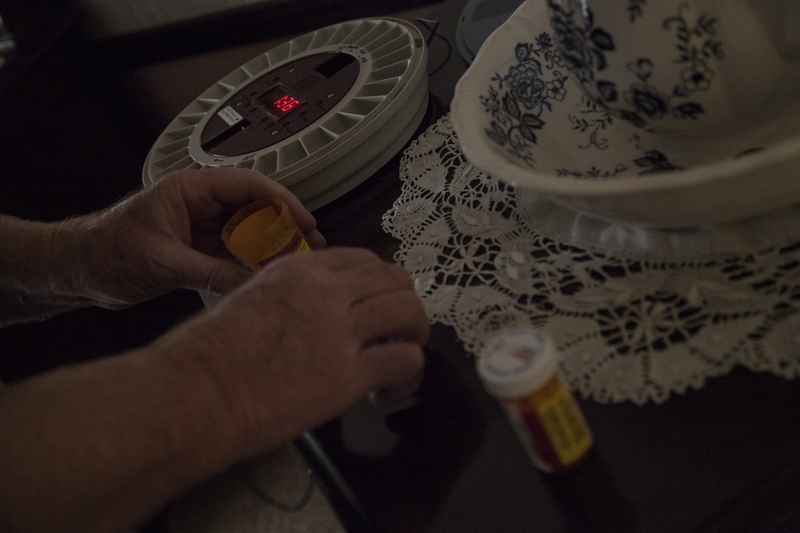 Bill Hinz fills a locked medication box that alerts Nancy's caregiver and family members that she needs to be administered her pills. 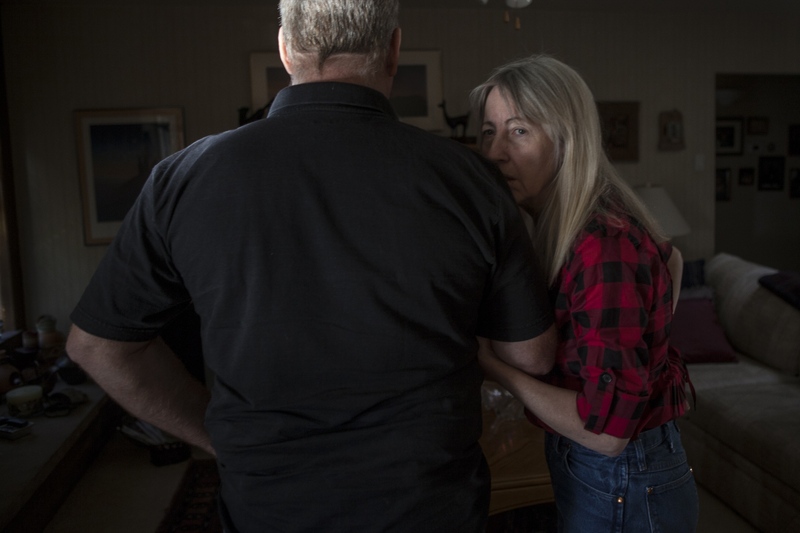 Nancy holds on to Bill's arm before leaving her home to move into a senior home that provides 24 hour care for elderly patients with Alzheimer's disease and other ailments. 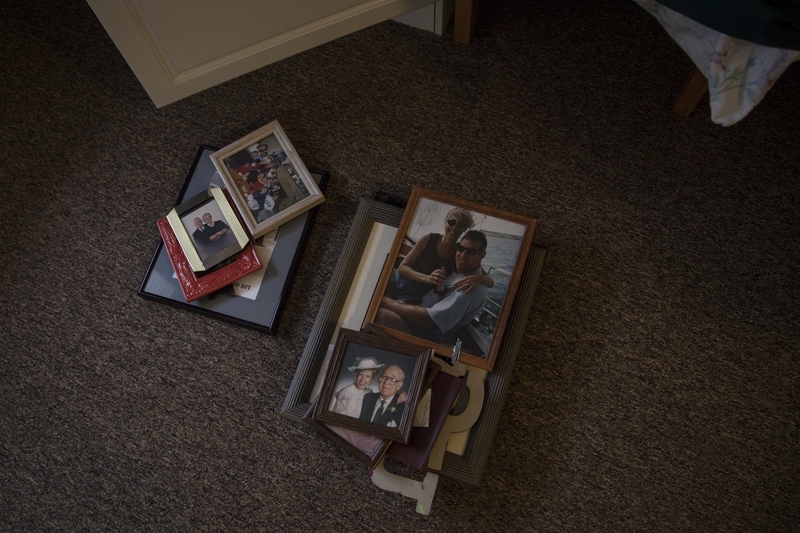 Framed pictures sit on the floor in the senior home as family members move in her personal items. 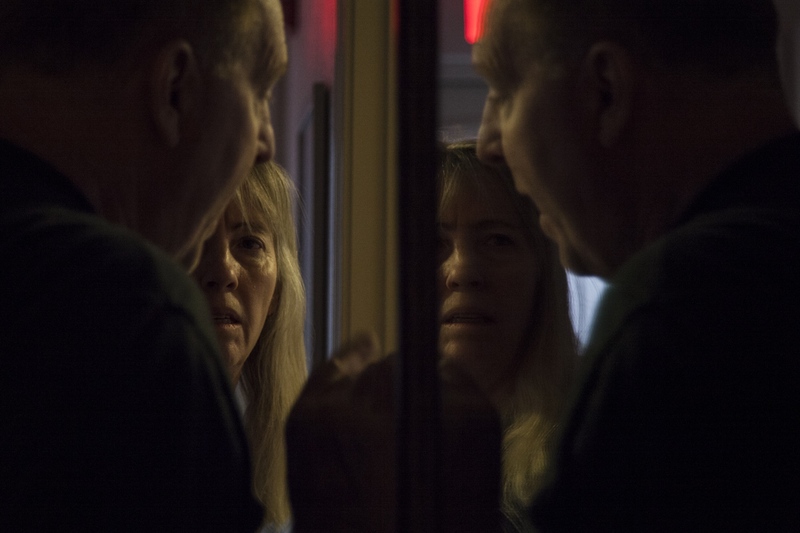 Bill walks Nancy to her room where she will be staying in the senior home as she looks at him disconcertingly. Bill leaves the home with an empty box after the moving commenced. Bill doesn't visit Nancy often. He sees her being in the home as a relief as he felt it was like taking care of a "child." Bill and Nancy are still married celebrating 22 years together on October 8, 2016. Nancy's sister Cindy reaches out for her hand as they walk in the back yard of the senior home. It is a rarity that Nancy will refer to one of her sisters by name though they feel she still recognizes them in some way. When her sisters visit, they help to feed her to ensure she gets needed nourishment. 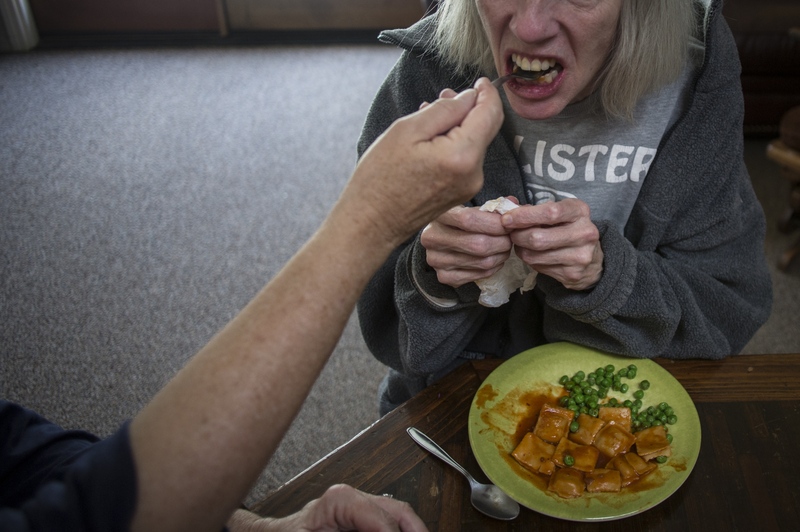 Often times Nancy will not eat with a utensil resorting to her hands instead, which bothers the elderly folks at the home. They make remarks such as "look at her" as they shake their heads in disapproval. Though most of the other residents have dementia as well, none of them are as incapable of taking care of themselves as Nancy. Cindy wipes Nancy's face after feeding her lunch. 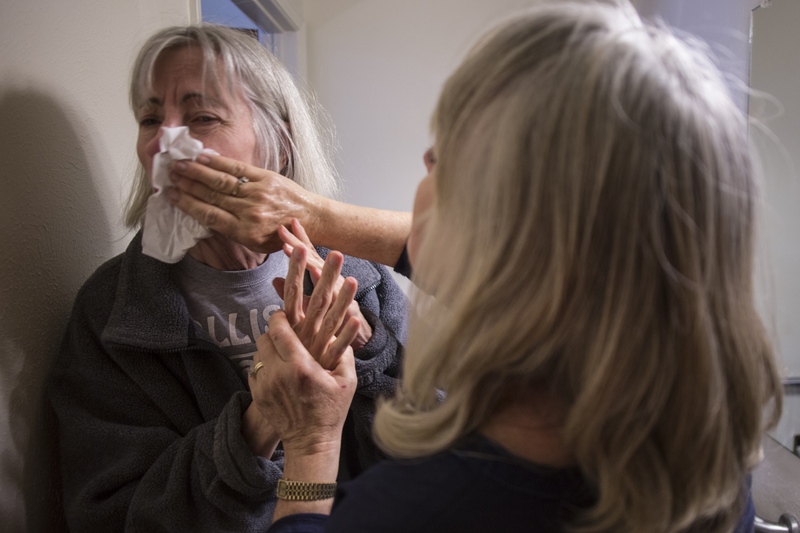 The simplest hygiene tasks can be a fight as Nancy refuses to cooperate with the caregivers. Nancy's nickname "Nannygoat" is written out on a dry erase board that hangs in her room. Below is how Nancy wrote her name when her sister Cindy asked her to spell it out. Before Cindy leaves, she changes Nancy into her pajamas and sets her in a chair to watch television. A food tray is placed infront of her to keep her seated in the chair and not wander the home. Nancy is a nuisance to most of the residents in the home as she frequently bursts into their rooms. When the caregivers are attending to other residents, Nancy will wander around the property as if she is searching for something, walking into areas that lead nowhere such as by this shed in the backyard. While aimlessly wandering, she goes around tugging and turning on the doorknobs attempting to open them. 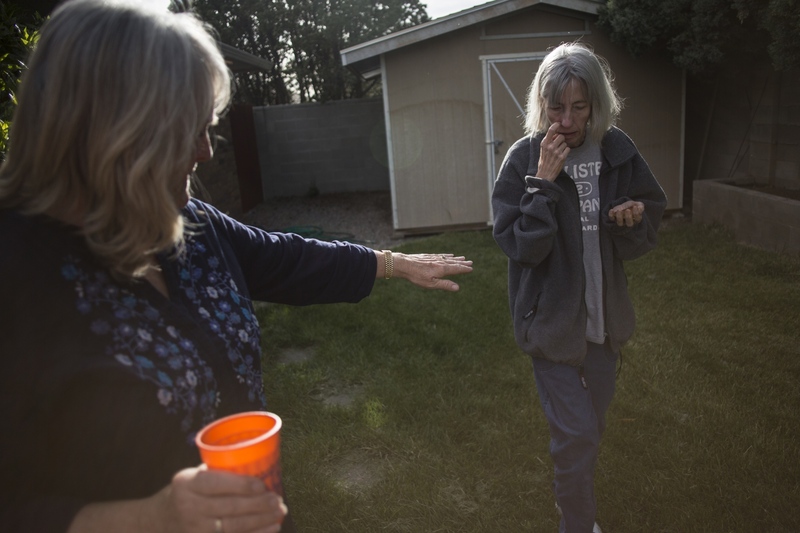 Nancy was given five to eight years to live after her official diagnosis of younger-onset Alzheimer's disease. She has been suffering from the disease for nearly eight years.